A local charity set up just 18 months ago to fundraise for potentially life-saving equipment has achieved its target. 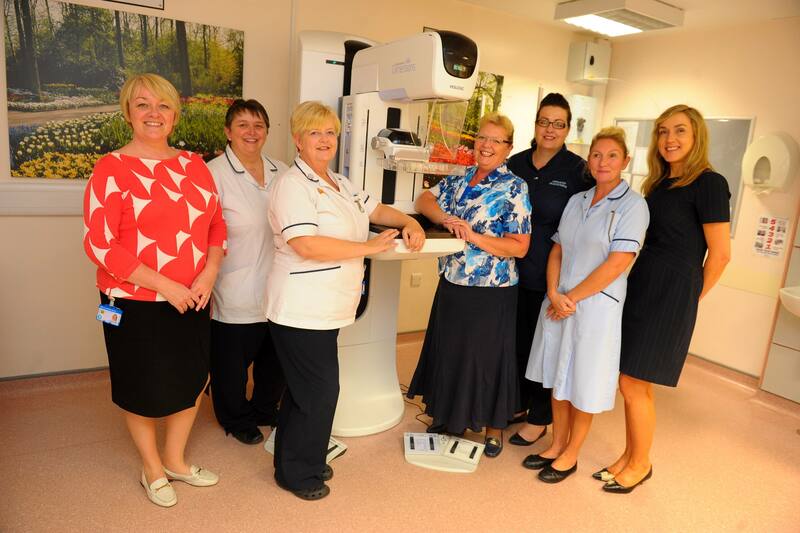 Thanks to the generosity of local people, businesses and community groups, the Clarity Appeal has enabled state-of-the-art equipment valued at £80,000 to be installed at Castle Hill Hospital in Cottingham. The Clarity Appeal was set up in April 2015 in order to fundraise to install cutting edge diagnostic facilities within local Breast Screening Services. The innovative Tomosynthesis diagnostic tool uses x-ray imaging to create a 3D image of breast tissue. Clinicians are given a more detailed and accurate view of any suspicious areas, helping to reduce the number of biopsies taken from healthy patients in order to rule out malignant diagnosis. The technology also enables many different images to be taken at the same time, and is much quicker than traditional mammography, so women spend less time undergoing the procedure, thereby reducing any associated stress or discomfort. “We’ve been overwhelmed by the response to the Clarity Appeal from the local community. “Breast cancer is the most common cancer in the UK, so many people will have a loved one who has experienced this in some way, or will know someone who has. High quality screening plays a vital part in helping health professionals to identify any changes and take the appropriate action at an early stage. “Tomosynthesis allows us to take 3D mammograms, a lot like a CT scan where it takes ‘slices’ through an object. Healthcare staff can then zoom through the tissue to look at any areas of concern. Access to Tomosynthesis has been available in Northern Lincolnshire for some time, so it’s great that we can now offer use of this state-of-the-art technology to men and women in East Yorkshire too. “Tomosynthesis will not replace traditional mammography, but it will be used in second stage screening where health professionals need to take a closer look at breast tissue and feel the improved imaging capability it offers will be of extra value. For more information or to arrange interviews/photographs, please contact the Communications Office at Hull University Teaching Hospitals NHS Trust on (01482) 674486.